The PSC Conference Room currently seats 12, but can accommodate up to 20 if additional temporary seating is added. The collaboration space is first come first serve unless reservations have been made to utilize the entire collaboration space for an event (currently seats up to 25 people, but has standing room for about 25). The entire 5th floor, if reserved, can accommodate approximately 70 people. 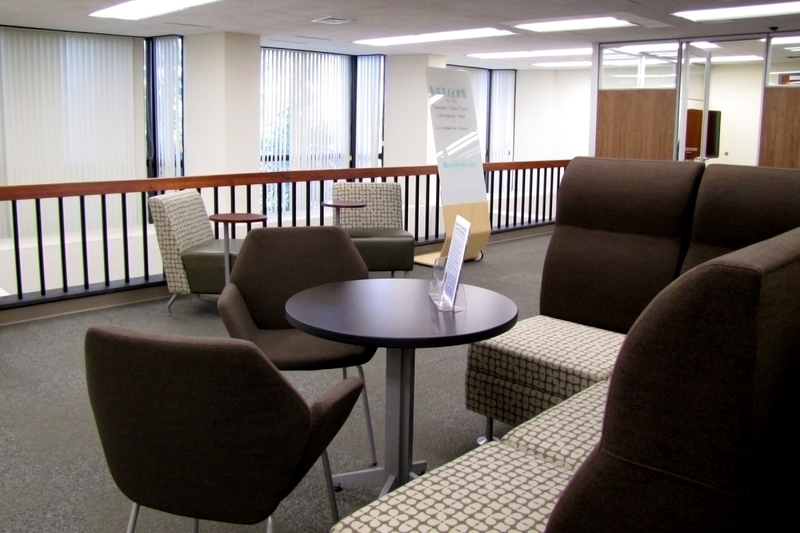 The PSC Conference Room includes a board style table set-up but also can be reconfigured for classroom style set-up as the tables are mobile. 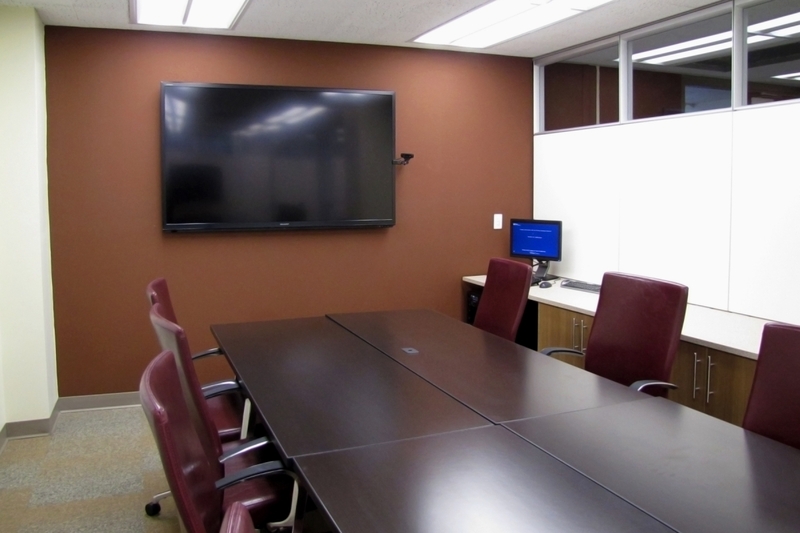 The PSC Conference Room is equipped with a PC, a video camera for skyping, large monitor with wireless keyboard and mouse, as well as laptop hookups for PCs and Macs, and a large dry erase board. There is a polycom soundstation for conference calls, the telephone number for those calling in is 215-746-1402. There is a large mobile monitor with HDMI and VGA hookups for PCs as well as Mac adapters for collaborative use by small groups. There is a large dry erase board in one of the seating areas in the Collaboration Space as well as 2 mobile dry erase boards. Requests are accepted from PSC/GGD/PARC Associates, Faculty, Staff, and Students and others affiliated with the center. The space is located on the 5th floor of the McNeil Building, 3718 Locust Walk, within Room 574. Enter via the 4th floor Demography Library (between the elevators) unless you have borrowed a key. Contact PSC Information Services Staff to inquire about borrowing keys at: psc_library@mailman.ssc.upenn.edu. For more images of the space, see our Photo Gallery.